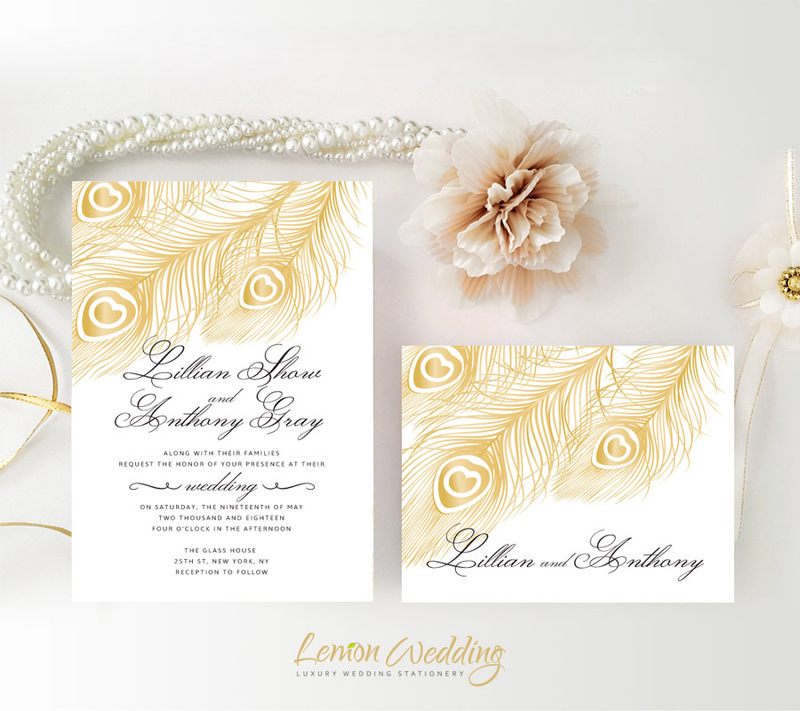 With the date set and the venue is booked, it’s time to let your love ones know more about your special day with our Peacock Feather Wedding Invitations. 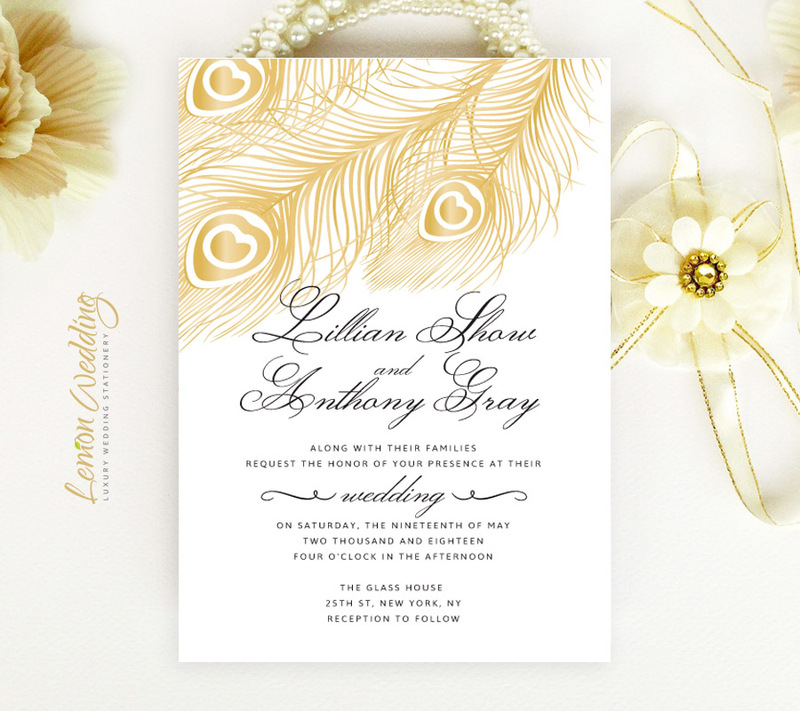 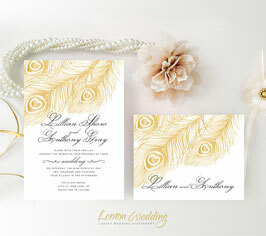 Accented with a timeless golden feather design, our invites match the tone of your luxe ceremony. 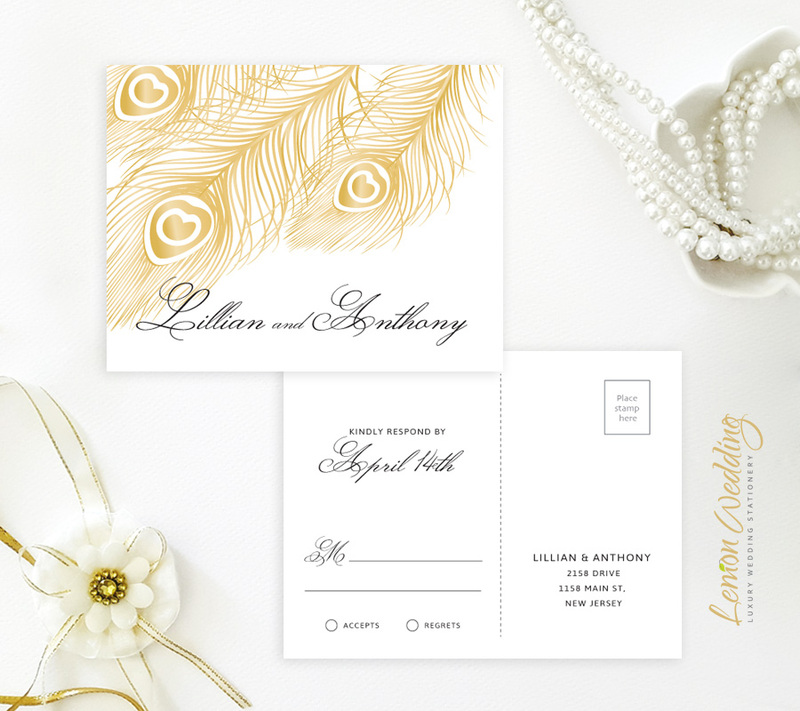 The entire set of invites includes an R.S.V.P postcard and wedding invite printed on premium card stock.